David returns to Windy City Playhouse after directing last season’s Jeff Award-nominated THE EXPLORERS CLUB. He is a professor and Director of the Music Theatre Certificate program and Artistic Director of the American Music Theatre Project at Northwestern University. David has worked all over the world as a director, choreographer, and author. His work has received 44 Joseph Jefferson Award nominations, for which he has won 11; the Dramalogue Award (L.A.); the Helen Hayes Award (Washington, D.C.); five Carbonall Award nominations (Florida); a Laurence Olivier Award Nomination (London); seven Atlanta Journal and Constitution Awards; the Atlanta Circle of Dramatic Critics Award; and three National Endowment writing grants. He has served as Artistic Director for the historic Ford’s Theatre in Washington, D.C., and as Associate Artistic Director for Atlanta’s Tony Award-winning Alliance Theatre. He has had more than 40 new plays and musicals produced internationally, including the Laurence Olivier-nominated musical HOT MIKADO. Recently, he collaborated with Northwestern University and the Royal Conservatoire of Scotland in presenting ATLANTIC, a pair of new musicals at the Edinburgh Festival last summer. He has collaborated on world premiere musicals with Craig Carnelia, Cy Coleman, Russell Baker, Jimmy Buffett, Herman Wouk, David Crane and Marta Kauffman, Bob Gaudio, Henry Marsh, Barry Mason, Jim Stafford, Eddie Seago, and Mike Leander, among many others. He directed and coauthored KNUTE ROCKNE: ALL-AMERICAN at The Theatre at the Center, and his adaptation of THE BOYS FROM SYRACUSE, for which he was nominated for 3 Jefferson Awards, played at the Drury Lane Oakbrook. He directed his musical THE BOWERY BOYS at the Marriott Theatre in Lincolnshire and directed and choreographed ONCE ON THIS ISLAND at Marriott and HOT MIKADO at Drury Lane. In summer 2011, David directed his own FANNY BRICE musical at Florida’s Asolo Rep Theatre; wrote a program of musicals to accompany the AIDS Memorial Quilt to Washington D.C.; directed HAMLET at Notre Dame Shakespeare Festival and a World Premiere of HERO at the Marriott Theatre and Asolo Repertory Theatre; and wrote THE RULES OF LOVE in Istanbul with Turkish rock stars Sertab Erener and Demir Demirkan. David opened SHAKIN’ THE RAFTERS for Kenny Leon’s True Colors Theatre in Atlanta; directed SOUTH PACIFIC, 9 TO 5, CABARET, and ON THE TOWN for the Marriott Lincolnshire; and directed THE COMEDY OF ERRORS, A MIDSUMMER NIGHT’S DREAM, and PERICLES for Chicago Shakespeare Theatre. 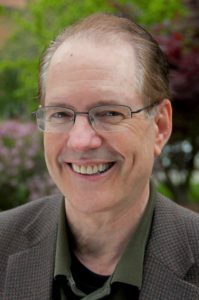 For Northwestern University’s Wirtz Center for the Performing Arts, David has directed A MIDSUMMER NIGHT’S DREAM and six Waa-Mu Shows: ANOTHER WAY WEST, BEYOND BELIEF, WHAT’S NEXT?, OFF THE MAP, FLYING HOME, and GOLD. David is currently writing and directing THE MUSEUM OF BROKEN RELATIONSHIPS with composer Daniel Green.